medical specialist, wilderness survival enthusiast, wild food adventurer, biohacker. Dr Greg Emerson - proud father, medical specialist, biohacker and wilderness survival enthusiast. He is interviewed regularly on America’s most popular health television programme because of his dedication to finding the underlying root cause of illnesses. When not working in his clinic he is tending to his mushroom farm, wild food foraging, practicing his survival skills or painting. He was the Founder and Medical Director of the Emerson Health and Wellness Centre which opened in October 2005. From May 2008 to October 2011 he was co-director of Nutritional and Environmental Medicine Queensland. He then again decided to take the road less travelled and founded Dr Greg Emerson’s Treat the Cause Clinic, based in Brisbane. He is a consultant in Nutritional and Environmental Medicine, a senior specialist in Emergency Medicine and in Diving and Hyperbaric Medicine. For 18 years he practiced in several large public hospitals including 2 years as an Associate Professor of Emergency Medicine at the University of Alberta Hospital in Edmonton, Canada, senior specialist at the Royal Brisbane Department of Emergency Medicine and as the Director of the Wesley Center for Hyperbaric Medicine in Brisbane. 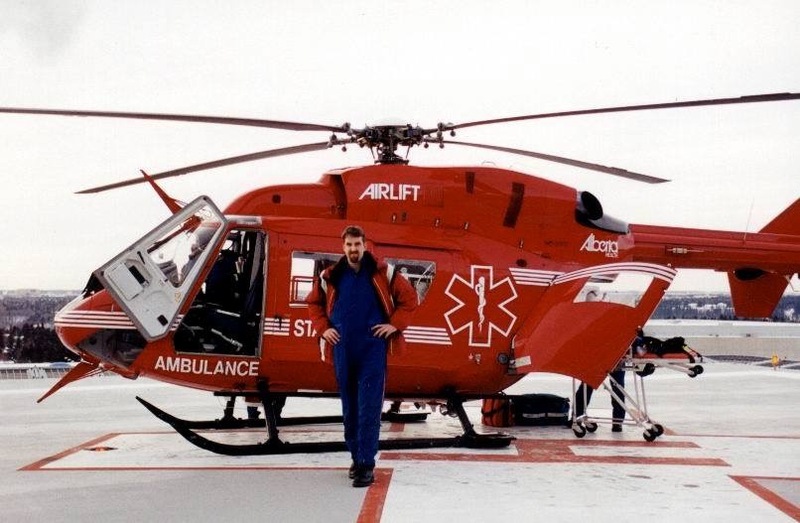 He participated in helicopter retrieval of critically ill patients for the Shock Trauma Air Rescue Society (STARS) in Canada and the Royal Flying Doctor Service in Australia for over 8 years. He is a past senior lecturer, examiner and board member for the Australian College of Nutritional and Environmental Medicine. He is a past examiner for the Australasian College of Emergency Medicine. Nutritional and Environmental medicine with the Australian College of Nutritional and Environmental Medicine (ACNEM). Specific targeted nutrient therapies in mental illness, behavioural disorders and autism with the Walsh-Pfeiffer Institute. Free Radical Therapy with the Institute for Health Realities. Bioidentical hormones and anti-aging medicine with the American Academy of Anti-Aging Medicine. Allergies and sublingual desensitisation with the Pan American Allergy Society (PAAS). Heavy metal toxicity and biological detoxification with the American College for Advancement in Medicine (ACAM) which is the world’s leading integrative medicine organisation. Lyme disease and other stealth infections with the International Lyme and Associated Disease Society (ILADS). He is one of the few medical practitioners experienced in both the antibiotic and herbal protocol of chronic Lyme disease and is a member of ILADS. Ozone and prolozone with Dr Robert Rowen in San Francisco. Wilderness Survival skills with multiple organisations, including ex Australian Special Forces (SAS) personnel and Native Americans in Arizona. He is an active member of the Wilderness Medical Society and a Fellow of both the Australian College of Nutritional and Environmental Medicine and the Australasian College of Emergency Medicine. He is one of the founding members of the Australian Chronic Infectious Disease Society- a group of physicians who specialise in the treatment of chronic stealth infections including mycoplasma pneumoniae, Lyme disease and its co-infections, parasites and mould. In 1997 he published the Western world’s largest epidemiological research paper on pesticide poisoning and has written extensively in the medical literature on carbon monoxide poisoning and diving medicine. He is the author of the chapter on decompression illness in the prestigious Textbook of Adult Emergency Medicine. In 2008 he co-authored a research paper on the use of intravenous magnesium in cardiac arrythmias which was published in the journal Academic Emergency Medicine. In 1997 he published the first ever research on the pharmacodynamics of sedative drugs in a hyperbaric chamber. Dr Emerson played professional basketball for five years. He is a certified PADI dive instructor. On a personal note he is an enthusiastic skier and wilderness explorer. He teaches wilderness survival skills, energy biohacking techniques, resilience training, wild food foraging and traditional food preparation skills in the mountains and lakes around Queenstown and Wanaka in the South Island of New Zealand. He now lives in Coolangatta on the border of Queensland and New South Wales. He is passionate about sustainability, self-sufficiency, neo-aboriginal life ways, wilderness survival and wild food foraging. He spends his spare time growing mushrooms, wild food foraging and learning to surf and paint. He believes in the intrinsic ability of the body to heal itself if the underlying cause of the illness is addressed. His practice revolves around identifying the sub-clinical defects common to all degenerative diseases. How would you like to optimise your health, increase your vitality and delay the ageing process? We are about helping you optimise your health and vitality. It’s about moving the metabolic see-saw back towards anabolism (building) and away from catabolism (breaking down). It’s about not worrying about how old we are chronologically but about focusing on how we feel, look and perform, and how much energy we have to enjoy life. If your health has already suffered, then now is the time to rebuild and reclaim your health, and learn how to prolong it. Step 1 - correct the underlying hormonal, metabolic and microbiological defects. Step 2 - biohack the metabolism and environment for optimal performance. Many of us, despite leading a relatively healthy lifestyle, choose to ignore the warning signs of impending problems. We then find that the illness does not respond well to focused, symptom based, diagnosis driven therapies. To restore health and vitality, the focus must always be on discovering the underlying cause of the illness. The search can initially often be disheartening and frustrating. However, to maximise the chance of recovery, it requires a refusal to accept that there is no answer. My mission is to uncover the secrets to maximising the body’s natural defenses against illness, accelerating recovery and delaying any decline in health and vitality. To encourage prevention of illness, rather than waiting for it to appear and then treating it with drugs or surgery. Our average life expectancy has increased, however our quality of life has decreased because of the epidemic of chronic degenerative diseases associated with the ageing process. As a population, we need to move from “living short, dying long” to “living long, dying short.” Degenerative diseases such as hypertension, osteoporosis, heart disease and diabetes are now so common that we have come to accept that they are a natural part of the ageing process. We accept that they start when we turn 40 and that we will need to be on a considerable amount of medication by the age of 60 to keep us mobile. Social proof is one cause of this— when we are unsure how to be healthy and what to expect from the ageing process, we look around to see what everybody else like us is doing and expecting. I do not believe that degenerative diseases, illness and cancer are inevitable consequences of ageing. We all desperately need to raise our expectations. Many populations overseas expect to be fit, healthy, free of medication and full of energy at age 100. Nor is your future set in your genes. Your genes provide your body with guidelines, not rules. Recent evidence proves that our lifestyle and environment have a significant role to play in the ageing process and also determine the amount of damage inflicted on our genetic material. The more damage to our genetic material, the faster we age and the more prone to cancer we are. You can decide to start valuing your health now or wait until you have a wake-up call from a major illness or degenerative disease. The problem is that most of these diseases have a very slow fuse and develop insidiously over a long period of time. By the time you are aware of the illness, the degenerative processes may have been progressing for years. The bodies healing system is like flying an aeroplane with an autopilot- it’s a much better flight with the autopilot switched on making minor adjustments all the time, rather than frantically trying to turn it on as the plane freefalls. Prevention is a much more effective strategy than treatment. In ancient China, doctors were remunerated according to how few sick patients they had in their community. They were teachers of health, rather than treaters of symptoms. That’s how it was then, that’s the way it should be now. Speaking with Ryan O'Connor from the Stag Roar Podcast on a variety of subject matter including why I was a successful professional athlete, why understanding mitochondria is critical to optimal health, why I love cold water so much and why seafood and mushrooms are critical in our evolution. Speaking with Chris Desmond from the ‘Uncomfortable Is OK” Podcast, Dr Greg Emerson shares his 7 principles of health. 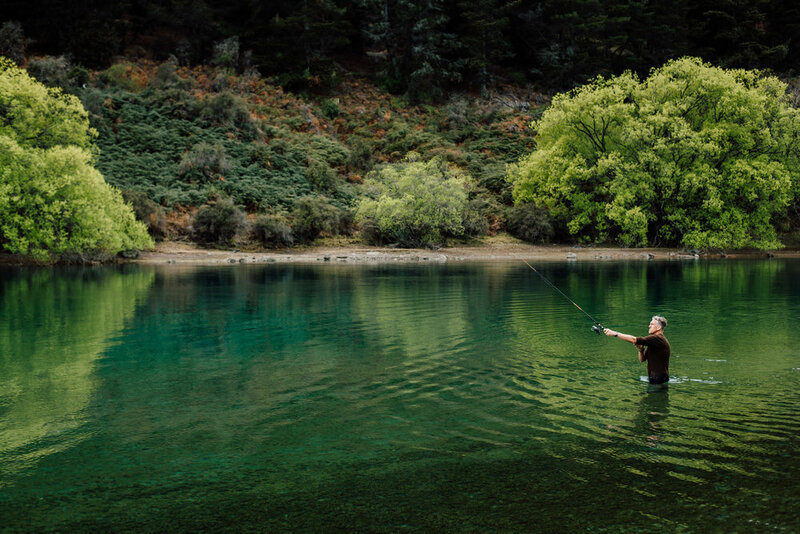 Dr Greg Emerson discusses the lessons learnt on his 30 year journey from a senior ER Physician to a Functional Medicine Specialist, Permaculture Farmer and Wilderness Explorer. In this Podcast Dr Greg Emerson discusses how intermittent fasting improves energy and weight loss. In this podcast Dr Greg Emerson discusses why Lyme disease is often mistakenly diagnosed as Fibromyalgia (and other pain/joint disorders). Why conventional treatments often don't work. His 12 step process for kicking Lyme disease and why he gave up his farm to become a nomad. Dr Greg Emerson was recently featured in Root Cause - a movie length documentary with expert opinions from cutting edge doctors and dentists from around the world, that exposes the true health effects of the root canal procedure. Appointments are available in person at Treat the Cause Clinic located in Logan Central and Coolangatta. For those living outside of these areas, consultations are also available via phone or Skype. Initial consultations are always 30 minutes with a follow up appointment to allow for testing and results. Due to the nature of nutritional and environmental medicine occasionally consultations are extended and delays may occur. We recommend calling ahead or blocking out time after your appointment in case of delay. Please call (07) 3339 7910 to book your appointment. If you are a new patient please print out this document and bring it with you completed to your scheduled appointment. We look forward to meeting you. Please note we require 24 hours notice for all cancellations (at least 1 working day). Cancellations within 24 hours will result in a 50% cancellation fee.